REPORT and Finding of a Court of Inquiry, held in Natal on the 16th November, 1897, to investigate the circumstances attending the casualty which occurred to the S.S. "Clan Gordon" on the 16th October, 1897. 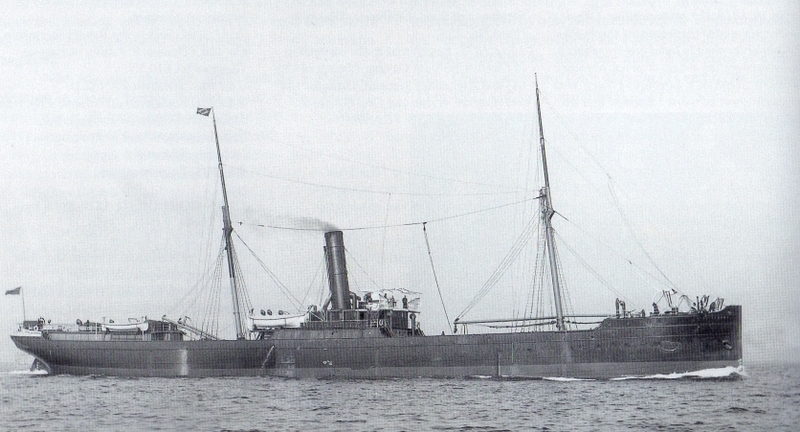 In the matter of the British ship "Clan Gordon," a two-masted screw steamship, 1,375 tons net, No. 80,441, registered at Glasgow, whereof Charles Robert Wakeford is master. In the Court, constituted under Law No. 10, 1883, to enquire into the circumstances of a casualty to the said ship on the 16th October, 1897. Report and Finding of the Court. The evidence shows that the "Clan Gordon" steamship, No. 80441, Built in 1879, of 2,117 tons gross register, 1,375 net register, and 200 horse-power, of Glasgow, left Port Natal, bound to Delagoa Bay, on the 16th October, 1897, at 4 p.m., with part cargo. The crew, all told, numbered 48, and there were passengers 1 European and 6 or 7 Indians. The vessel was well found and in all respects seaworthy. A course was shaped to take her 5 miles outside Point Durnford, and shortly after the vessel was put on this course the wind freshened to a strong gale from the south-west, with showers of rain. At 8 p.m. the third mate took charge of the watch, with instructions to call the captain if the ship drew into the land, and a statement was made by the chief officer that the captain would be about during this watch. At 8.30 p.m. the captain was informed that the ship was drawing in shore, and the course was altered a quarter of a point more to the eastward. Twenty minutes afterwards, namely, at 8.50 p.m., the officer of the watch again called the captain, stating that the vessel seemed still to be too near in, and the course was again altered by the captain three-quarters of a point more easterly. At 11 p.m. the wind having moderated, though it was still showery, the captain was called and the vessel reported to him as being well off the land, when the course was altered nearly half a point to the northward. At about 11.20 p.m., while on this course, the land was sighted about half a point on the port bow. The helm was put aport and the captain was again called by the officer of the watch, the ship then steering a point more easterly. Immediately after this the sand or the beach was sighted by the third officer. The helm was put hard aport and the vessel kept off east-south-east. After steaming this way for about five minutes the steamer ran ashore on the south-west end of the Tenedos Shoal, where she ultimately became a total loss, the passengers and crew landing on the 17th in the ship's boats on the beach, all efforts, by the running out of a kedge, jettisoning the bunker coal, and pumping out the ballast tanks having proved of no avail. The vessel was lost only seven hours from port, and the disaster must have been due to one of three causes of errors of the compass, bad steering, or currents not known and therefore not allowed for. It is agreed that the compass had never given any trouble, and taking into consideration the age of the ship,18 year, we may safely say that her magnetism had shaken down and become permanent, and that the compass would not be liable to erratic movements. We made enquiries and found out that nothing in her cargo could have affected the compass. Then as to steering, all the witnesses said the ship was easy to steer. There remains the question of an unexpected and unusual current. The Court find that the course steered on leaving Port Natal would, in daylight or clear weather, when the land could have been seen a distance of 5 or 6 miles, have been a safe course to steer, but taking into consideration that the captain was a stranger on the coast, and in view of the well-known current setting to the south-west, and the inshore counter currents along the Natal and Zululand coasts to the north, the Court is of opinion that the master showed a great want of caution, amounting to culpable neglect, on finding the vessel close in shore at 8.30 p.m. and 8.50 p.m., in not taking a cast of the lead to verify his position. In the opinion of the Court it was the captain's duty, after the representations as to the nearness of the land made by his third officer between 8 p.m. and 9 p.m., to have taken steps to ascertain the true position of the ship by means of soundings. Had a cast of the lead been taken at this time the captain would probably have found his distance from the shore within a mile, and that his ship was in danger, and he would have seen that the heave of the south-west sea or the current which he calculated he was meeting, and which had apparently caught the vessel on the starboard bow and set her within a mile or two of the coast had to be reckoned with and necessitated more careful attention to the navigation of the vessel, for this watch at least, taking into consideration that the weather was overcast and showery. The master having had long service at sea, and up to the present disaster without casualty, has the sympathy of the Court in the position in which he is placed, but the Court cannot overlook the fact that a first-class steamer, with a considerable quantity of cargo, has been lost, and a large number of lives placed in jeopardy by his neglect, and therefore recommends that his certificate, No. 19509, be suspended for a period of three months from date of stranding. The third mate, in the opinion of the Court, was attentive to his duties, and notwithstanding that his estimate of the distance from the land at 11 p.m. proved incorrect, it is not considered that this error of judgment contributed to the loss, as the captain was called in accordance with his instructions at the time this opinion was given. The Court considers that the third mate's certificate should be returned, and that, if possible, he should be reimbursed in the expense incurred by him in connection with the enquiry as a witness. This enquiry has illustrated the necessity of a further survey of the Zululand coast, and for a new edition of the "African Pilot" written up to date. The meagre notes of the inshore currents are somewhat ambiguous. The evidence showed that when the two assisting vessels went up to the shoal and anchored (two days after the casualty) they found the current that set the "Clan Gordon" ashore still running, so that there must be a considerable amount of permanency about this current. If the authorities should not care to go to the expense of a new survey, the depositions of our local navigators might be taken at the port office and sent home to be embodied in the next edition of the "African Pilot." Certainly the account and description of Port Natal should be re-written.